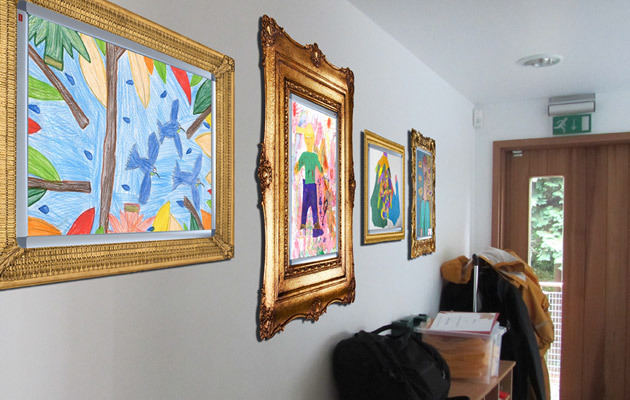 Create your own school gallery with our picture frames printed on vinyl with integrated acrylic frames to display your pupils work. The acrylic frames allow the flexibility to update the inserts. Ideal for a school corridor. Choose from 2 different designs – modern graphics or traditional photorealistic.